For officials of the Islamic Movement in Nigeria (IMN), it is a blatant lie to claim that N3.5 million is spent monthly to feed their leader, Sheikh Ibraheem El-Zakzaky, in detention. The group also known as Shiites, said that the claim was a cover-up for fraud. The Islamic group said it was shocking and unbelievable that the Minister of Information, Lai Mohammed, said such a huge sum was spent on the leader of IMN in custody when he had been complaining of poor feeding and deteriorating health. A statement by the group’s spokesman, Mallam Ibrahim Musa, yesterday, said: “IMN believes that this is part of the grand deception of this administration to present a human face after it brutally slaughtered over 1,000 innocent and defenseless civilians in Zaria in December 2015. Lamenting the plight of the Shiites and their leader, Musa said: “This same government had also told the world through the Federal High Court in Abuja that the Sheikh didn’t do anything wrong, but they shot him and the wife and all the atrocities were only to protect him. The court was not convinced and so ordered that he should be set free. The government reneged. Musa continued: “Considering his (El-Zakzaky) age and failing health, he deserves some special feeding arrangements, but those holding him in custody have denied him all that. This clearly shows that some security officers are looting public funds under the guise of keeping the Sheikh under protective custody, which the Federal High Court in Abuja has since declared illegal under the constitution. “Also the minister’s claim, which he said is off the record, clearly exposes the corruption in the DSS (Department of State Services). This figure could be true in their records, but they actually use that to loot public funds in the name of feeding the Sheikh, while in reality the Sheikh is the one catering for himself and buying all his domestic needs. “The N115, 000 daily feeding claim by the minister is similar to the case of Nigerian Prisons, where the government claimed to have spent N14, 500 daily in feeding every individual prisoner in Nigeria. But a visit to the prison tells you that they are all lies, as the prisoner is malnourished and sick, apart from living in congestion with absolutely zero hygiene. “We consider the statement of the minister as an insult to the personality of our leader. We advise the minister to desist from involving the Sheikh in his unfortunate lies and for once, tell Nigerians the actual truth, that the government does not spend such an amount on Zakzaky. Musa, in reaction to reports that the medium that published the statement of the minister had apoligised to him, said any apology offered by any media organisation against the publication of the N3.5 million spent on El-Zakzaky’s monthly feeding could not be acceptable to the Shiites. 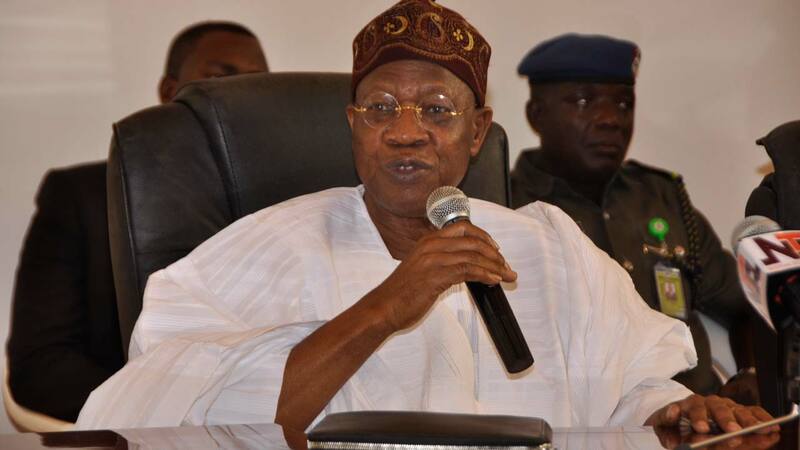 “The Minister of Information, Lai Mohammed, as part of his press conference, openly told journalists that the amount is spent by the Federal Government on the Sheikh as monthly feeding bill. “Though he said the issue was off record, however, the cameras and recorders were on when he openly declared what he said publicly. “What I know about off record is to direct journalists to put off their recorders and cameras if you are making a sensitive statement you don’t want to go public. But in this case, the minister allowed journalists to do the recording. “We don’t take such an apology seriously. All we know is that we stand on it. It doesn’t change anything. He cannot turn around that he did not say that and that government is not spending such an amount. All we know is that this is fraud and we stand by our statement and reaction to it,” Musa added.